• Chocolate and xylitol (a sweetener often found in peanut butter and chewing gum) are extremely toxic to pets. Chocolate can cause upset stomachs, heart arrhythmia, kidney failure and seizures. Xylitol can bring on hypoglycemia, seizures, liver failure and even death if consumed. It’s important to tuck all candy away so it stays out of paw’s reach, and make sure kids know not to feed candy to pets. 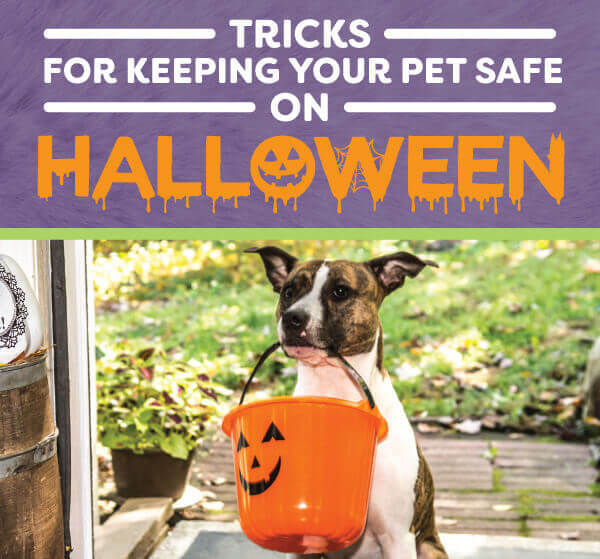 Have more questions about keeping your pet safe this Halloween? Call us at 714-602-4713!